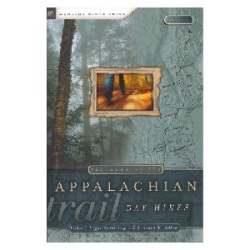 The Best of the Appalachian Trail: Day Hikes, by Victoria and Frank Logue and Leonard M. Adkins. 2nd edition, 2004. Provides brief descriptions of 149 day hikes along the AT, ranging from one to eleven miles and covering all fourteen states. Good for an overview of day-hiking opportunities along the length of the Trail. 184 pp, 6” x 9”.